In this post we will take a look at the difference in facial expressions between anime and cartoon productions. There is a major difference in the presentation of emotion between these two styles of animation, and i believe that by outlining these differences we can better understand the importance of eyes in anime to convey emotion. Facial expressions in anime cartoons differ in form to their cartoon counterparts. As outlined numerous times throughout the study, the main element for expressing emotion in anime productions is a character’s eyes, associated with the use of iconography. Iconography in these productions include the visual appearance of stress marks, such as the cruciform, which represents bulging veins that appear on a character’s forehead. Another famous example of iconography is the sweat drop, which appears in cases where character’s are experiencing embarrassment. Characters who are experiencing shock or other exaggerated expressions will perform a “face fault”, which can dramatically alter the facial construction of a character in order to effectively show their emotion. These visualised motifs convey emotion in a way that is not seen in cartoons. In cartoons there is less emphasis on the detail of the characters eyes. In the American animated television series ‘The Simpsons’, the characters eyes are simplistic, as they are just dots for pupils. The eyes in The Simpsons are not used for storytelling, and in fact the entire facial structure remains relatively similar throughout the series. The extent of emotion in cartoons such as The Simpsons comes from the mouth of the character, by either smiling or pulling particular faces to reflect certain emotions. These emotions are evoked by the basic facial prompts we associate with emotion. The expressions that are made by the characters mimic realistic facial structures, where anime over-accentuates emotion in a more visualised manner. In terms of the overall contrast in facial expressions, the avenues in which anime and cartoon productions expression emotion utilise separate devices. Anime productions use a characters eyes to express emotions, coupled with iconography to accentuate emotion further. Cartoons emphasise emotion through a characters mouth, which they use to imply certain emotions, instead of expressing them in the visualised manner that is expressed in anime. I think you’re spot on with the differences between cartoons emotions and anime emotions. I think one of the biggest differences is in the perception of the media as well. In much of the anime I’ve watched the japanese voices will “turn it up to eleven” and become excited very quickly, which is more in line with a pantomime than a dramatic story. Whereas in a cartoon it’s much more subtle as western films have made the same transition. I think it ties in to what people expect form their media, be it a realistic interpretation or a much more fantastical version. Maybe that could be worth considering in future research, whether the art style reflects the audiences expectations. Its interesting that anime and cartoons utilize different art styles to show emotion. I wonder if it is because of the audience that they aim at? In most cases the shows that utilize the anime style tend to not be aimed at the younger audiences and thus need to show a considerable amount of detail to express the emotions that they do. Where as in cartoons it seems that they are aimed at younger kids and they don’t really care if Bart Simpson is showing anger in his face because they can hear him yelling and that satisfy the target audience. I do agree that Anime uses the eyes the most to display emotion most, Look at Full Metal alchemist: Brotherhood, Ed is always showing some form of expression and you see it in his eyes most. 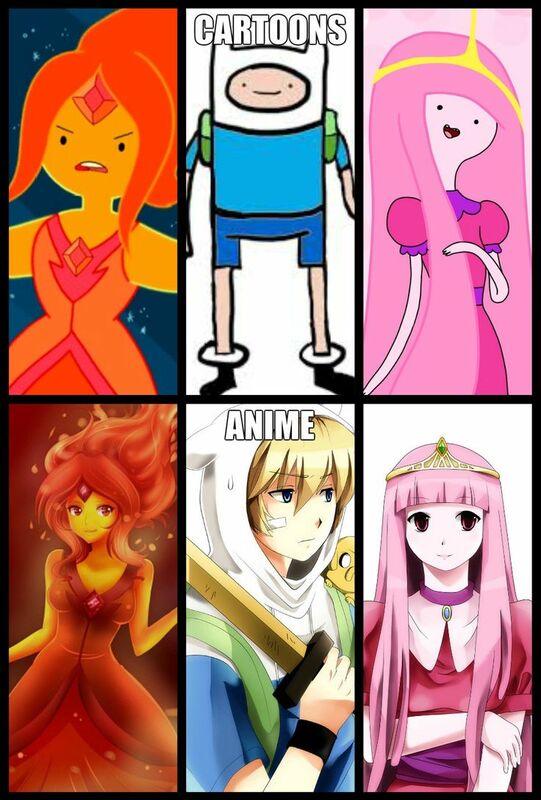 I completely agree, there is a huge difference between cartoons and anime. Anime has a much more serious and progressive element to it as a genre. Most anime movies and television series I have come across involve much deeper and detailed characters as well as plots. This is reflected in the way that anime appears and the effort that is put into the characters outfits, facial expressions as well as the detail put into their surrounding environments. Anime in my opinion is almost borderline realistic. The characters can even appear somewhat attractive (yes I had a crush on adult Gohan in Dragon Ball Z) Also loving the Simpsons reference. Always enjoy a good Simpsons reference.